We just saw Banner of Command from both top laners in ROCCAT’s win over Giants Gaming. 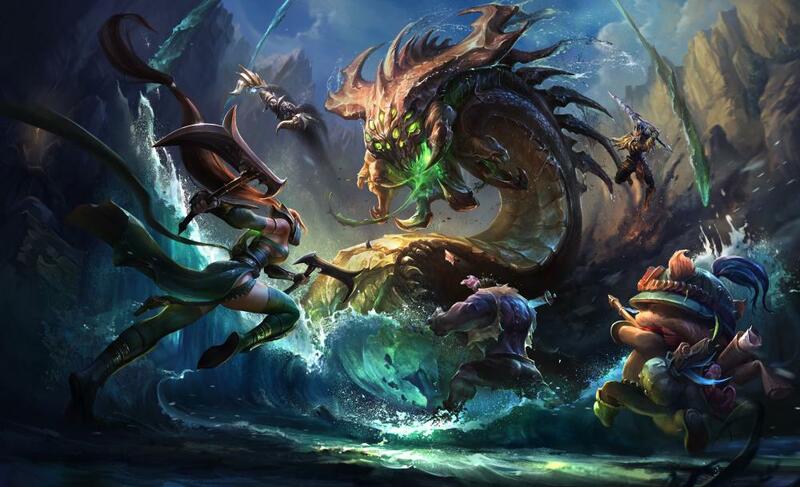 The theme of professional League of Legends this year has been to stall to late game. But after seeing game after game drag beyond 40, 50, 60 minutes as teams with Baron buff could not successfully siege, Riot Games decided something had to be done. So in Patch 8.4, Riot gave Baron buff a big, well, buff. Baron buff makes minions bigger, tougher, and more powerful. And we just saw on the EU LCS stage just how ridiculous things can become, especially with empowered cannon minions. While working on the changes, Riot found a bug where both Baron buff and Banner of Command wasn’t working with the cannon minions. One of the most annoying things in League of Legends is trying to siege with a Baroned-up cannon minion. Baron buff actually extends the cannon’s range beyond turret range, which means it doesn’t help draw turret aggro. And because the cannon’s damage is so weak, it can actually cause the entire siege to stall. Riot found that the buffs that Baron and Banner gave cannon weren’t properly increasing its damage. So they fixed it, giving empowered cannon minions a huge increase in damage. That wasn’t lost on professional League players. In Friday’s EU LCS match between ROCCAT and Giants Gaming, both top laners rushed Banner of Command as their second item, and empowered siege minions soon started racing down lanes. But the real fun came when ROCCAT combined Banner with Baron. Big chunks of the turret’s health fell in seconds as the cannon lobbed giant blobs of destructive energy into the base. Giants couldn’t even walk up to the Cannon, much less kill it, and with immunity against AP damage, even Giants’ long-ranged Azir couldn’t stop the siege. Needless to say, Giants lost the game a short while later. They had no ability to repel firepower of that magnitude. Riot might as well make a Death Star skin for those siege minions, because that’s how facing one feels.